Years ago, I wrote a “book of my heart,” a retelling of Charlotte Bronte’s classic romance, Jane Eyre. I’ve already blogged a good deal about this book, about what Bronte’s original meant to me, why I decided to retell it, how I fashioned that retelling, and the research I did into the time period and setting (late 1920s Hollywood when films went through the cataclysmic change from silent to sound). You can find a lot of those posts on this blog. One review, however, irritated me because it was precisely the opposite of the thoughtfulness shown by the Bronte scholars. It read as if it were tossed off, the reviewer seeming to me to be trying for a breezy style with a “look at me, how clever I am” tone designed to draw attention to herself and not the book. I’m not going to link to it. Trust me, it’s not worth the 30 seconds it would take to absorb. And it’s not so horrible that it would provide a juicy, guilty pleasure of a read. It’s just…well–I rarely use this word–dumb. It appeared in a publication whose name rhymes with Historical Novel Society. Ahem. As to the reviewer’s name, uh-uh, not going to give it out here. If she’s an aspiring novelist herself, why should I give her the publicity? First, she couldn’t even be bothered to get the protagonist’s name right. She kept referring to him as “Jack.” Who is this Jack of whom she speaks, I wondered. In Sloane Hall, the protag is John. John Doyle. Maybe Ms. Reviewer wanted to communicate how chummy she was with Mr. Doyle by referring to him as Jack? But never, in all my own imaginings, did I think of him as a “Jack,” and I’m the author. If anyone was on close terms with him, it’s the one who dreamed him up–uh, moi! Why did she take this liberty with a character she clearly didn’t bother to get to know and actually didn’t care for that much? Perhaps it was her attempt at a wink at the reader? If so, it was silly, succeeding in making her look foolish to readers who bother perusing the book’s blurbs and to her editors, after I complained. And I did. As to that complaint… the review went online recently, and I notified the editors to let them know of this mistake. They then changed references to “Jack” back to “John.” Since they won’t remove the review entirely, I followed up with a request that they keep the error in the review–at least that might alert observant readers to the reviewer’s carelessness. Well, yes, Ms. Reviewer, it appears it was certainly beyond your comprehension. Perhaps when you discovered this, you should have asked your editors to reassign the book. The next few paragraphs are a quick summary of the book with a conclusion that translating Eyre into the “argot” of the Jazz Age was too “jarring.” Well, I guess it was for her, especially if she thought I was writing in an “argot” to begin with. Transplanting Jane Eyre into the Jazz Age, of course, isn’t really a shock to readers who appreciate the melodrama of both periods. But the fact that this reviewer thought it was jarring demonstrates her narrow outlook, her inability to appreciate retellings, and again makes one wonder why she didn’t just say to her editor, “You know, I have a hard time with this kind of leap. Give this to someone else. I can’t be fair.” I’m not asking that everyone like retellings, but I do think if you have a hard time with them, you shouldn’t be reviewing them. Last but hardly least, this review appeared in a journal devoted to historical fiction, as noted above. 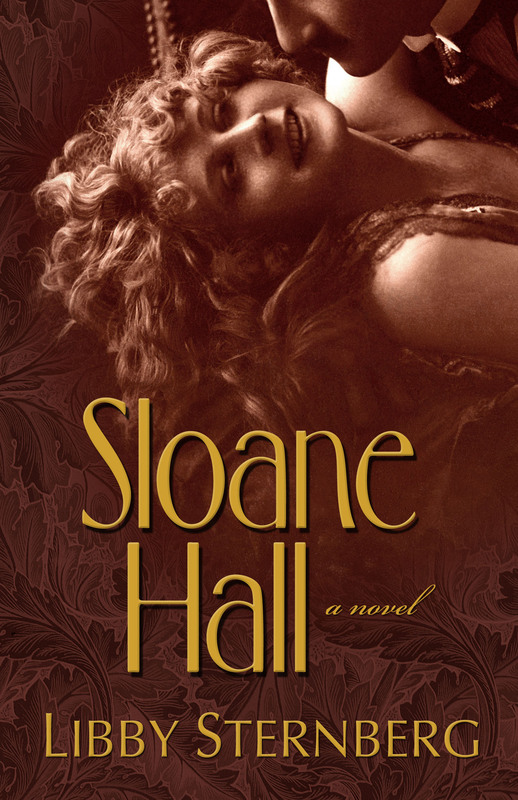 Sloane Hall was heavily researched. Yet Ms. Reviewer couldn’t be bothered to utter one comment about the background of the book, or its coverage of a tumultuous time in Hollywood’s history few outside the industry know much about (beyond the introduction of the first feature-length talkie, The Jazz Singer). I would have thought the historical accuracy of the book might be something a historical fiction journal might insist their reviewers comment on. Anyway, after the review appeared, I just shrugged it off after venting to a friend or two, and then enjoyed the comments from other reviewers. As I’ve said, I don’t raise a ruckus over a bad review. It happens. Readers’ tastes vary. For those who’d like to judge for themselves, here’s the book on Amazon.